These versatile brushes are high resolution (300 dpi) and therefore suitable for print and web projects. Each watercolour illustration was hand painted onto watercolour paper before being digitised and made into these beautiful brushes. 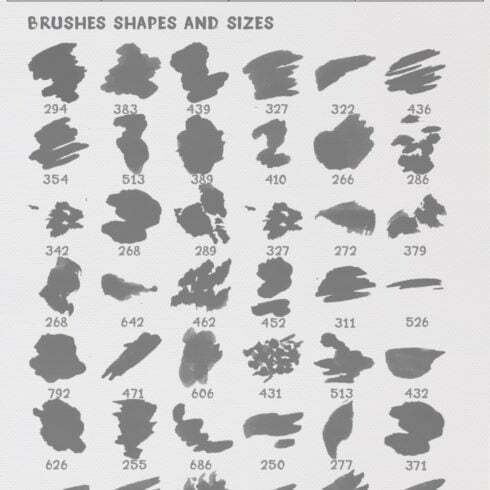 Brush set in .abr format. 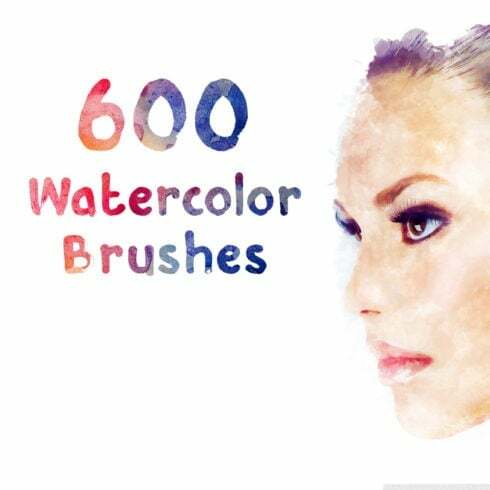 Explain what is a 600 Free Watercolor Brushes deal? Every designer, as a knowledgeable specialist, can sketch anything from scratch. Only it is going to require a lot of time and is not going to provide adequate gain for him. That is why the vast majority of designers use pre-made graphics elements – incorporate them, modify them and put together the design with their help. Nobody is going to buy all those components one at a time, that’s the reason why they are combined into graphic packages and marketed as a singular solution. How can you benefit from using 600 Free Watercolor Brushes? The benefits of graphic bundle deals for graphic designers are pretty obvious. But if you are a newcomer to those elements and now have doubts, the subsequent info is going to be useful for you. Along with a great number of the elements within a single package, the selection provides you with an opportunity to use different of them for various projects. What’s more, the cost is usually cut down tremendously which lets you save some dollars, yet receive the complete set worth hundreds or thousands of dollars. What sorts of 600 Free Watercolor Brushes are available? The collections of elements accumulated into a graphics bundle deal are typically sorted according to their purpose and / or kind. There could be bundles with infographics, business card templates, wedding invitation templates, icons and mockups, etc. On top of that, you will also be able to find graphic deals specifically for Christmas, St. Valentine’s Day, Christmas or St. Valentine’s Day. Tips on how to save a whole lot more bucks on MasterBundles items? Just share this webpage in social media – you get the 5% discount for the graphic deals you prefer. That’s a quite simple way to get a professionally developed tools for a lower price. MasterBundles could offer you a large assortment of different items. MasterBundles.com sells not just graphics bundles but also roughly 20 other various kinds of items. Fonts, WordPress themes, mockups, icons, photos, illustrations, presentation templates and a whole lot more – on the MasterBundles.com it’s possible to locate all of the goods, necessary for a design. If you feel as if you have lost track of time while looking for various resources and elements for your own design jobs, it is a high time to learn more about MasterBundles.com. This is a marketplace providing the hottest tools (graphics, icons, fonts, presentations etc.) for designers, marketers, and web developers at a reasonable cost for a limited time. To not miss significant info regarding the future promotions, we recommend reading our blog and signing up for the newsletter.